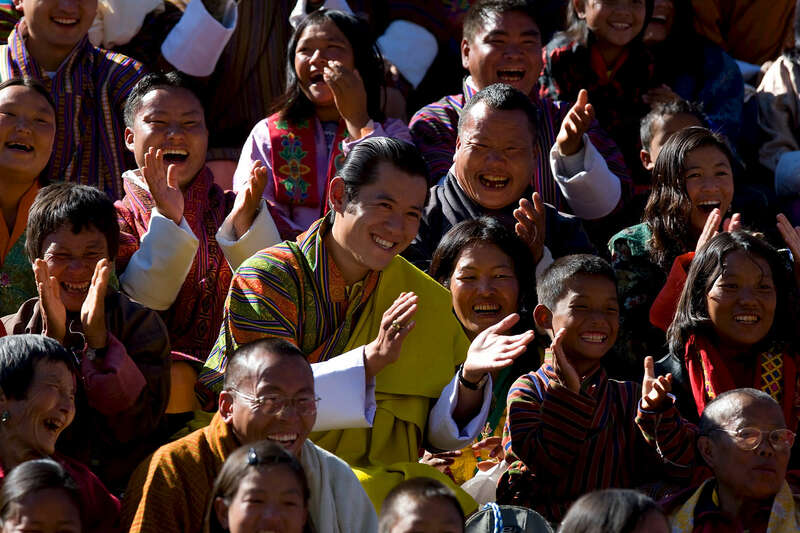 THIMPHU, BHUTAN -NOV 8, 2008: His Majesty Jigme Khesar Namgyel Wangchuck, 28, (center) sits amongst his people in the stands enjoying the games during the Coronation celebration at the Chang-Lime-Thang stadium November 8, 2008 in Thimphu, Bhutan. The young Bhutanese king, an Oxford-educated bachelor became the youngest reigning monarch on the planet when he was crowned on November 6th. The tiny Himalayan kingdom, a Buddhist nation of 635,000 people is wedged between China and India.